The UST Growling Tigers were underdogs coming into this game against the FEU Tamaraws. They were a rookie-laded team facing an experienced Tamaraw squad. 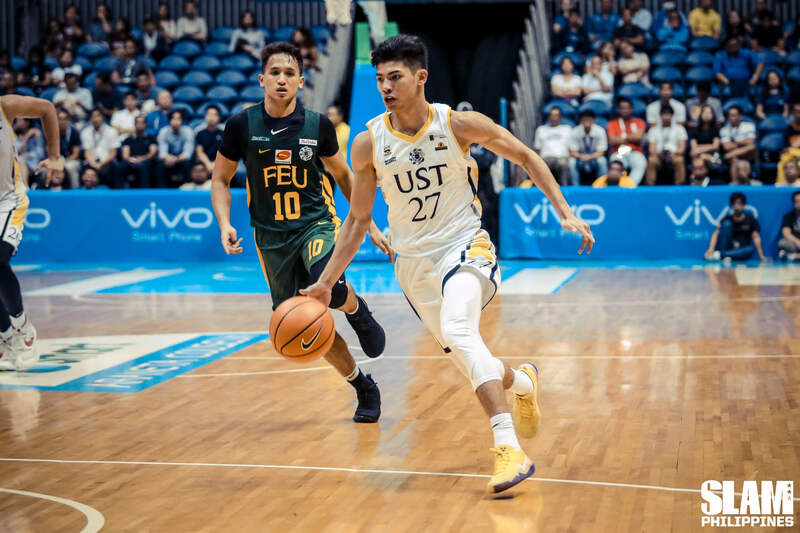 The UST young guns used their energy and hustle to surprise FEU with an upset loss. The Growling Tigers got key stops and crucial offensive rebounds to keep FEU at bay in the final minutes of their game. Renzo Subido led the way with 18 points and four treys while Marvin Lee added 13. Coach Aldin Ayo relied on key bench players to make an impact at key points in the game. After a back and forth first quarter, the Growling Tigers needed a spark to change the rhythm of the game. Ayo put in Joshua Marcos and the rookie responded. Marcos was an explosive ball of energy. He fearlessly launched outside shots and attacked the hoop with reckless abandon. Marcos scored 11 points in the second quarter alone. He sparked a 17-2 UST run that gave them a 13-point lead midway through the period. The Tamaraws battled back into the game in the second half. They used their strength inside and repeatedly pounded the ball into Prince Orizu. The mountain of a player was nearly unstoppable in the second half, scoring 17 of his 25 points in the final two quarters. With FEU making a run in the final quarter, Subido and Marvin Lee teamed up to score key baskets to keep their team ahead. The rest of the team hustled to grab offensive boards and worked tirelessly on defense. With less than 30 seconds left in the game, the Growling Tigers were up by three. Needing a big basket, Ayo brought in Ken Zamora. The young forward didn’t let his coach down as he hit a dagger side-step layup to extend UST’s lead. FEU had their chance to tie the game but they couldn’t convert in the final possession. 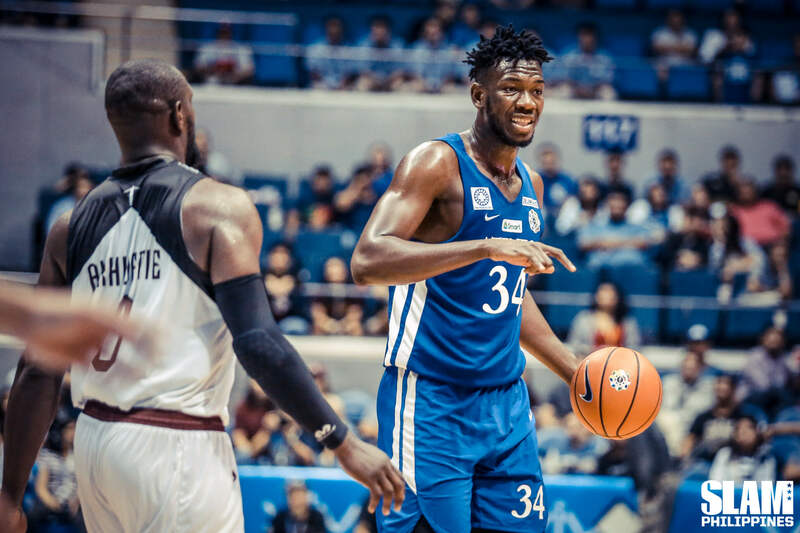 Looking for a bounce back win after a tough opening weekend loss, the Ateneo Blue Eagles found the perfect opportunity in the first Battle of Katipunan this season. The UP Fighting Maroons put up a good fight, but the Blue Eagles used their experience in the second half to pull away. Thirdy Ravena put up better numbers in this game with 17 points, 11 rebounds and four assists. Angelo Kouame added 14 points, nine rebounds and five blocks. The Ateneo offense which was shut down in their last game came alive in the first half. They were getting good looks at the basket by running smart offensive sets. Eight Blue Eagles scored in the first half, led by Anton Asistio who had 11 points. Unfortunately, Ateneo couldn’t pull away from UP. That was largely because of Juan Gomez De Liano. The hotshot sophomore was on fire in the first half. He scored 12 points in the first quarter alone to make sure the Fighting Maroons kept in step with the Blue Eagles. Gomez De Liano finished with a whopping 29 points in the losing effort. Sensing a growing fight in UP, Ateneo turned up the defensive effort in the second half. The Blue Eagles forced several turnovers to open the the second half. That allowed them to get out and running on the break. Ateneo zipped out to a 7-0 run to build a double-digit lead midway through the quarter. They built a lead as high as 13 points in the third period. In the final quarter, UP made their run. A missed dunk by Bright Akhuetie sent Bo Perasol into a rage. The UP coach believed that his big man got fouled in his attempt. Perasol was ejected and his tirade sparked a fire in UP. Gomez De Liano led a run that got UP to within five points midway through the final period. But that was the closest they would get. Thirdy Ravena powered his way into the paint and Asistio scored a key basket as Ateneo rebuilt their double-digit lead and cruised to the win.